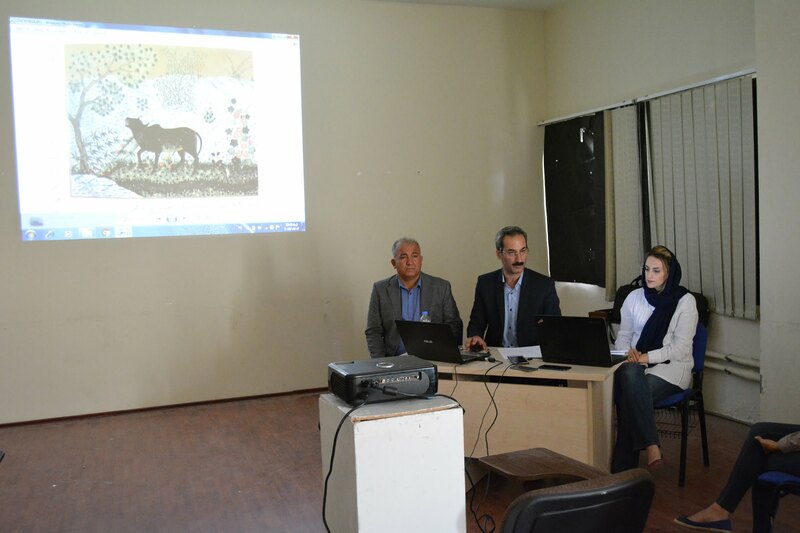 On 25/4/2017 plastic art department College of Fine Arts University of Sulaimani has held a workshop about ( Graphic Design ) presented by ( Somya ( vian ) Abbas Salih - Master in Graphic design at sanandaj polytechnic university and Mr. Salahuddin Muhammad Asad ) Master in Graphic and painting - Head of Graphic design Department at the sanandaj polytechnic university for Girls and after the workshop , Opened an Exhibition for ( Somya ( vian ) Abbas Salih ) Art works at the College of fine art's Hall s in presence ( Dr. rebwar said ) Dean of the college of fine arts and lecturers and number of students and artists . ئه‌مڕۆ سێ شه‌ممه‌ ڕیكه‌وتی ( 23 / 5 / 2017 ) به‌شی شێوه‌ه‌كاری كۆلێجی هونه‌ره‌جوانه‌كان هه‌ستا به‌ سازدانی ( ۆركشۆپێك بۆ گرافیك دیزاین ) كه‌ پێشكه‌ش كرا له‌ لایه‌ن به‌ڕیزان مامۆستا ( سمیه‌ ( ڤیان ) عباس صالح ) - ماسته‌ر له‌ گرافیك دیزاین و وێنه‌سازی زانكۆی پۆلی ته‌كنیكی سنه‌ و مامۆستا ( صلاح الدین محمد أسعد ) - ماسته‌ر له‌ گرافیك و نیگاركێشی ، سه‌رۆكی به‌شی گرافیك له‌ زانكۆی پۆلی ته‌كنیكی كچانی سنه‌ و پاش ۆركشۆپه‌كه‌ پێشانگایه‌ك بۆ كاره‌ هونه‌ریه‌كانی مامۆستا ( سمیه‌ عباس صالح ) كرایه‌وه‌ له‌ هۆلێ نمایشی كۆلێجی هونه‌ره‌جوانه‌كان به‌ ئاماده‌بوونی به‌ڕیز ( د. ڕیبوار سعید ) ڕاگری كۆلێجی هونه‌ره‌جوانه‌كان و مامۆستایان و خوێندكاران .